Offered is a set of 12 (!) 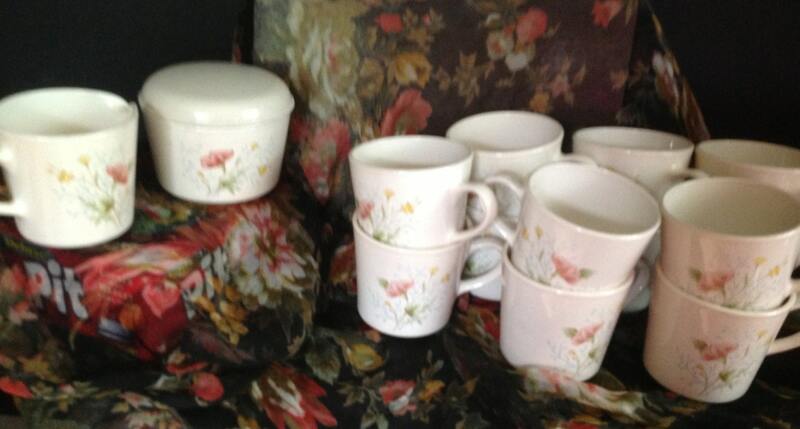 ceramic mugs with sugar and creamer. Have the whole family over for coffee, hot chocolate or tea! 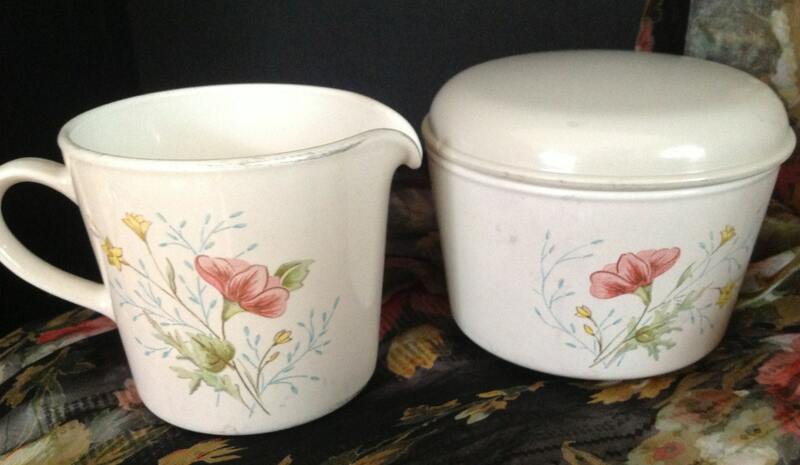 Made by Corning Ware they feature a floral pattern on an ivory background. 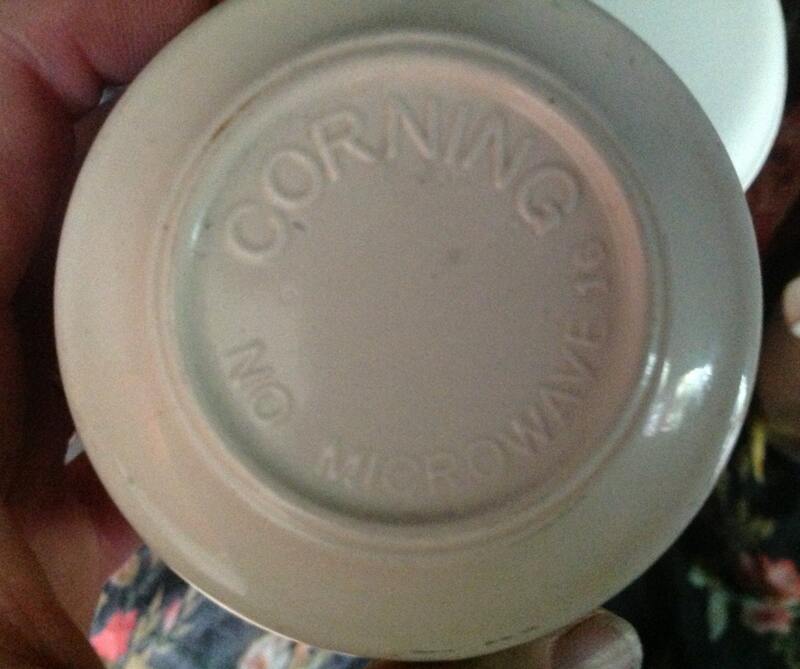 The bottom of all mugs are marked "Corning No Microwave" . 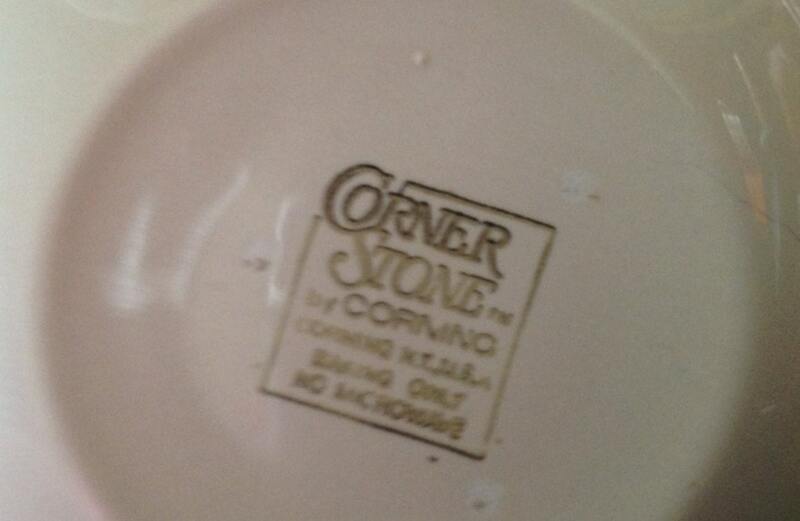 The bottom of the sugar bowl is marked " Corner Stone by Corning Corning, NY USA Baking only No microwave. Condition is very good. I can find no cracks or chips. The is a wear mark (or is it worn silver?) on the front edge of the creamer.